These r super large & fat jalebis that taste very good – very different from rest of the places – A bit salty & a lot sweet. 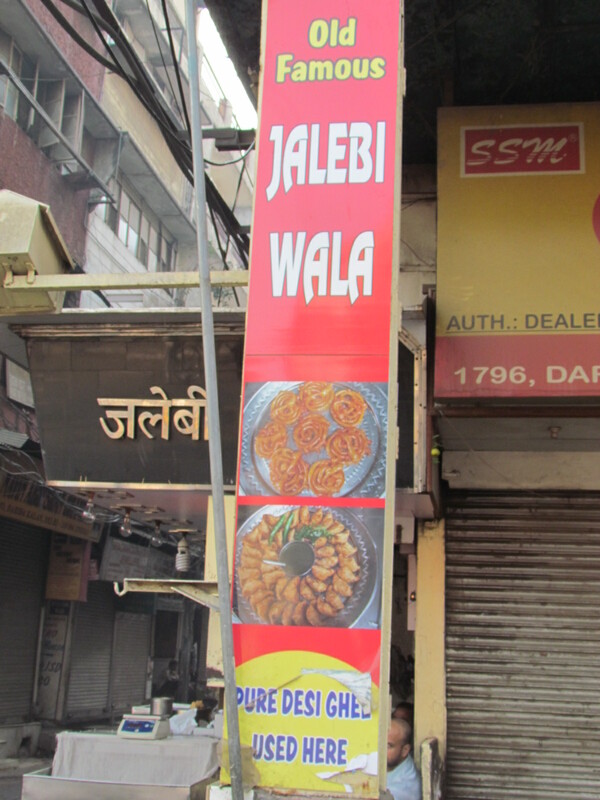 In this shop, jalebis r fried whole day & most of the time u need to wait there to get ur share of the pie ….err jalebi………….. piping hot, straight out of the kadhai……………not to be missed. Comparison with my most favourite jalebis at ‘Sharma Tea House, Kolkata’ – Jalebis at Sharma r thinner, crispier, sweet with a tinge of sour vis a vis fat, not so crispy, sweet with a tinge of salt at Jalebiwala. 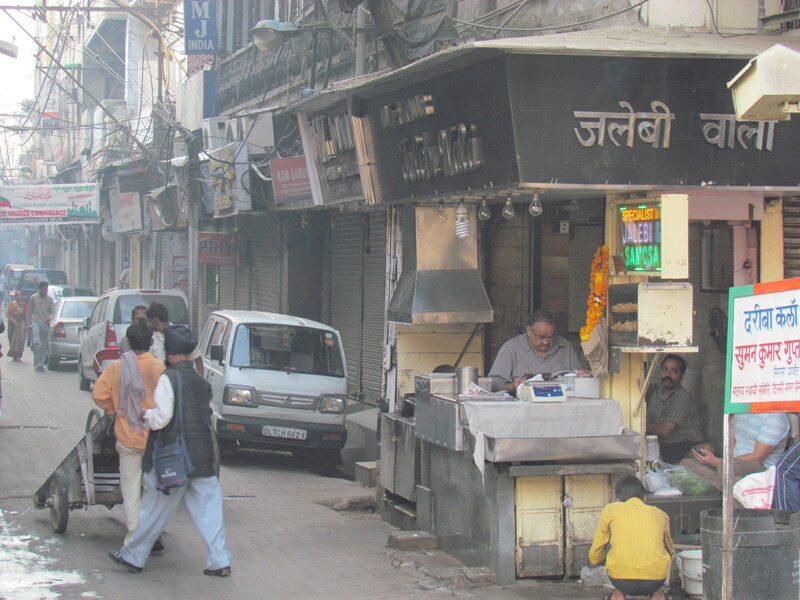 They also sell some other sweets & namkeens like samosas………….those r good but those r fillers. Jalebis r still the King here. I think they are probably the best type of jalebi persay . Not the best overall but the best in the Fat catagory . Have you ever tasted Dalebe . 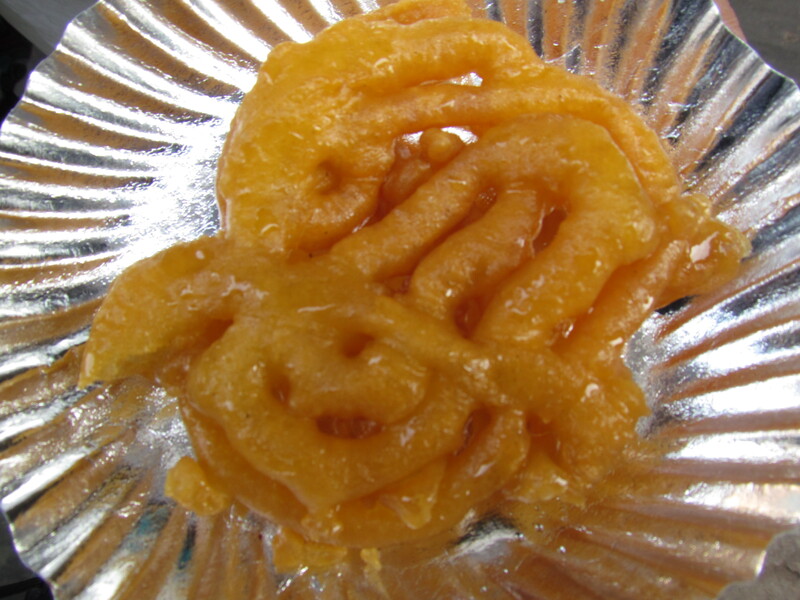 Jalebi made from Mawa . Can we have a whole article on best jalebi accoss the board .